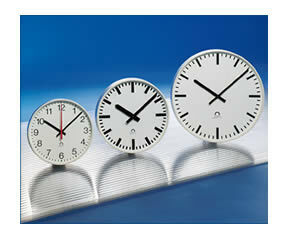 An attractive range of intelligent self-setting clocks with a modern, slim design. Trend analogue clocks are assembled in lightweight high quality plastic or metal cases which are available in white, anthracite or chrome finishes. 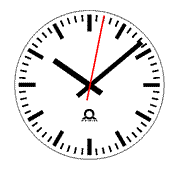 The clocks are controlled and powered by means of a two-wire MOBALine or Ethernet/NTP/PoE signal. 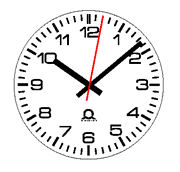 Double sided clocks are available consisting of two single sided clocks assembled together with a wall-mounting bracket or a bracket for ceiling suspension. 1 POE clocks are powered via a customer supplied power inserter source.